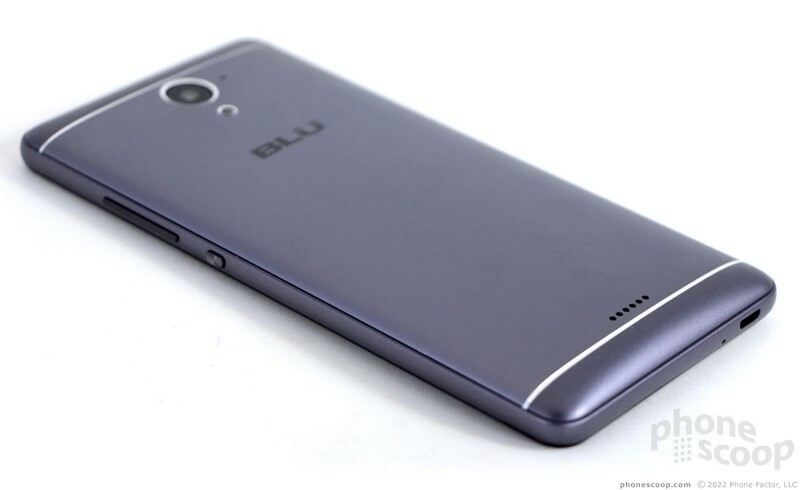 Blu is back with another Android handset for U.S. consumers who prefer the unlocked life. The Blu R1 Plus packs a big screen and an even bigger battery. You can opt to use the phone on AT&T or T-Mobile, with support for up to two phone numbers thanks to dual SIM card slots. If you're in the market for a network-flexible smartphone, the R1 Plus handles the basics. Here is Phone Scoop's in-depth review. 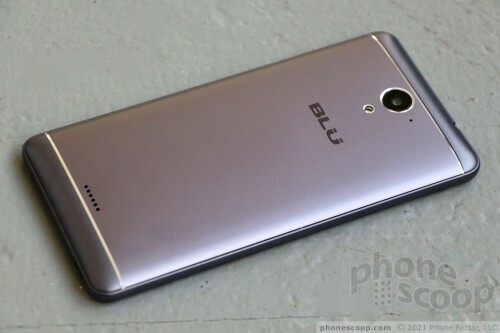 Blu sells inexpensive, unlocked smartphones directly to consumers, generally via online outlets such as Amazon.com. The R1 Plus is a bigger, badder version of the R1 HD thanks to a larger display and higher capacity battery. 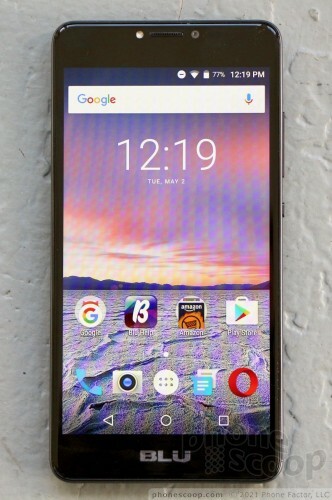 If you're in the market for an unlocked Android handset with a big screen, the R1 Plus is one of many options. Blu is in a bit of a design rut. Nearly every phone the company has announced in recent months bears a similar (nee, identical) appearance. The front features 2.5D curved glass, while the rear panel is defined by a gray metal plate, gray plastic end caps, and chrome accents. It's a fine look, but Blu is quickly losing any sense of individuality with this recycled design language. A large slab of black glass forms the R1 Plus' front surface. The glass is curved very slightly along all four edges, which helps the in-hand feel. 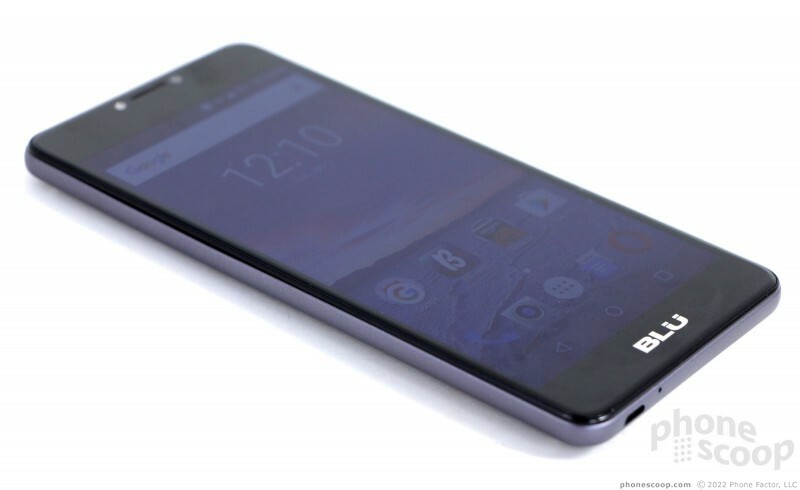 The rear of the phone is maybe 80% metal and 20% plastic. Chrome accents run from side-to-side across the top and bottom edges and separate the metal portion of the rear panel from the plastic ends. 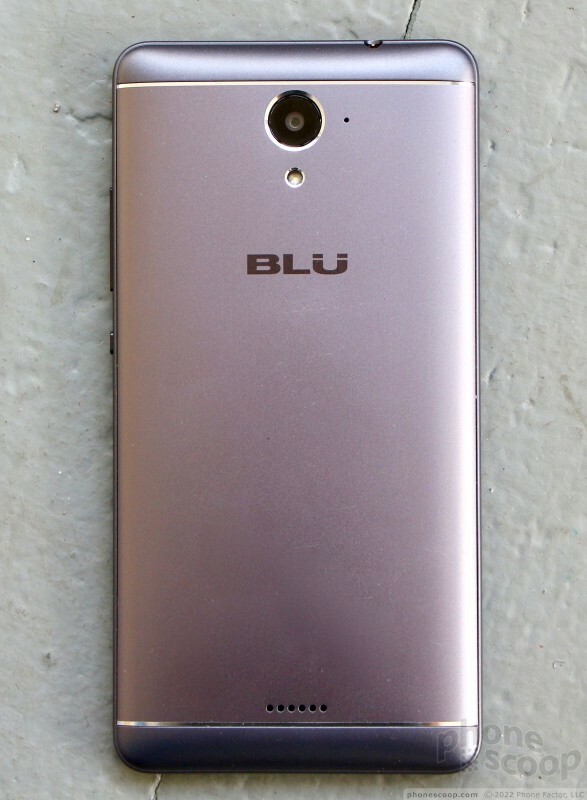 The gray of the metal is mismatched when compared to the gray of the plastic, but this seems to be a theme on Blu's phones. Like many contemporary Blu handsets, the R1 Plus has a conservative appearance that could almost be called classy. The 5.5-inch screen necessitates a rather large footprint. The thick bezels don't help. The R1 Plus is a big phone, there's no other way to describe it. It's more than 6 inches tall, more than 3 inches wide, and a whopping 0.43 inches (10.5mm) thick. 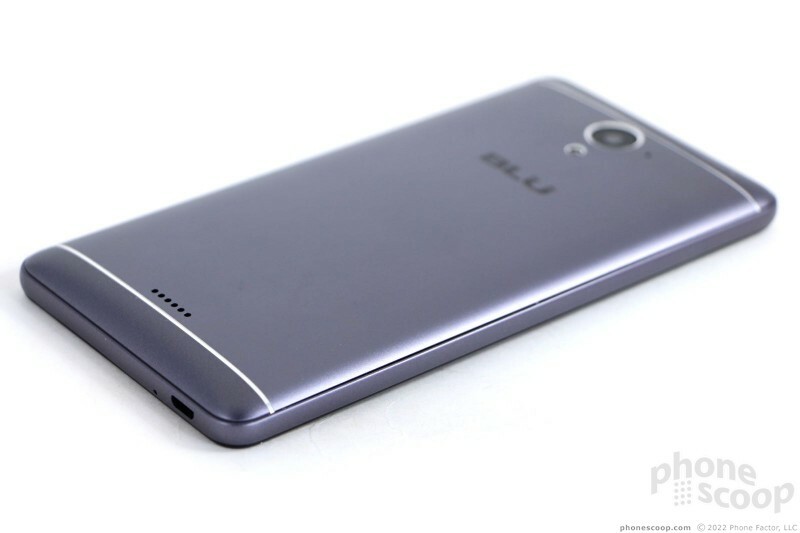 Blu did curve the rear panel where it reaches the side edges and this helps push the phone into your palm a bit. People with smaller hands may not be comfortable using the R1 Plus. It's often a two-handed device. The size, thickness, and the weight make it the R1 Plus a brick in your pocket. It'll fit in your pants, but you'll always know it's there. Materials are on par with other Blu phones, but fall short of similarly-priced handsets from Samsung, LG, Motorola and others. The glass front feels fine and is firmly mounted to a thin plastic frame. I'm not in love with the way Blu glued the rear panels to the outer plastic frame. 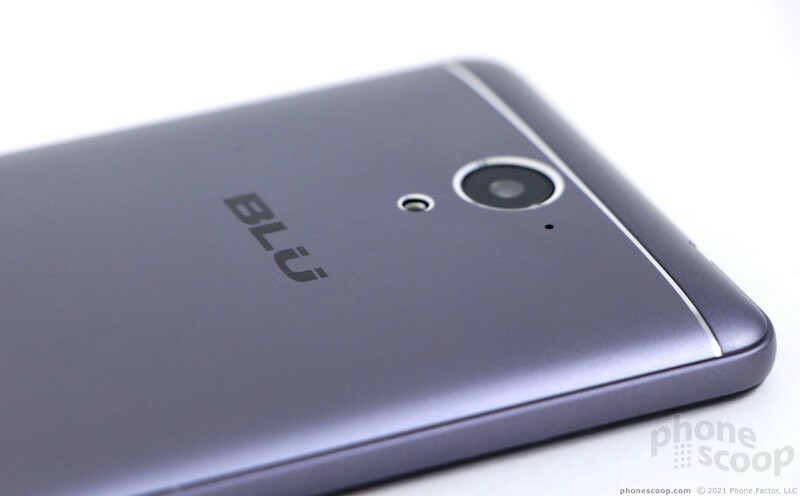 Like many Blu phones, the chrome bands are grooved and have sharp edges to them that cut against your skin. The materials may not be the best ever, but the R1 Plus does appear to be assembled tightly and all the seams are tight. 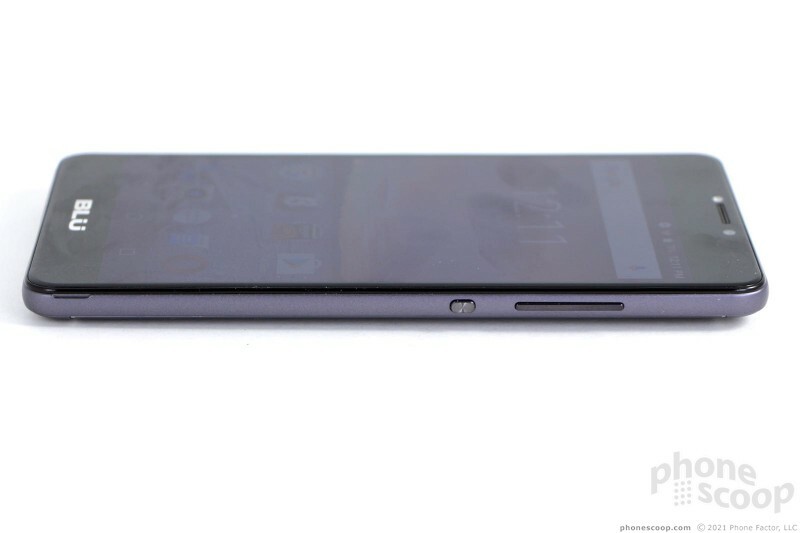 I always like to see a solid, seamless piece of black glass on phones. The display and bezels disappear into one another with the screen is off. It's quite easy to pick out the user-facing LED flash and user-facing camera. 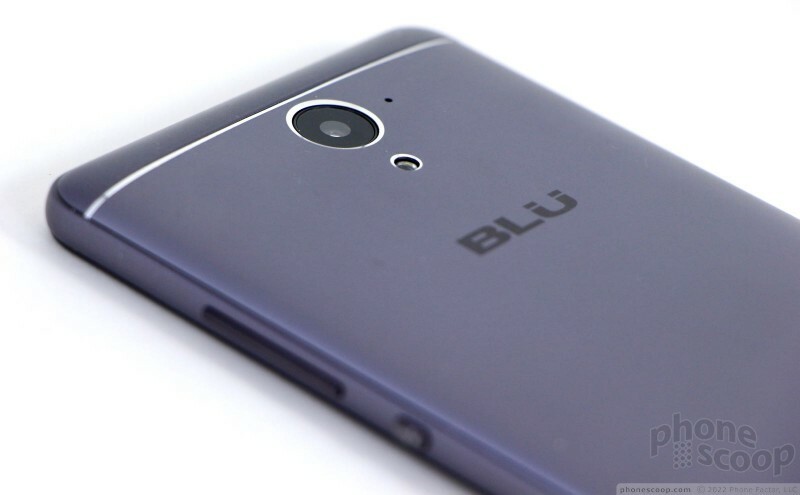 Blu opted for on-screen buttons to interact with the Android operating system, so the only other visible design element on the phone's face is the chrome Blu logo, which is painted along the chin. The screen lock key and volume toggle are on the right. The screen lock button is more of a nub and measures only a couple millimeters in length. Thankfully it has a ribbed textured to it and a sharp profile. The volume toggle is rather thin, but its length helps a lot. The buttons are a cinch to find without looking. Travel and feedback is good. The 3.5mm headphone jack is on top and the microUSB port is on the bottom. I do like the shape of the R1's rear panel. 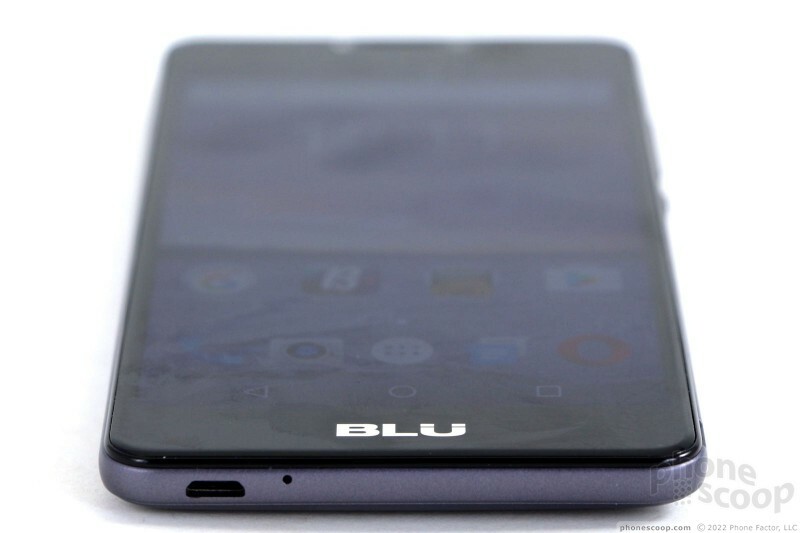 Like many other Blu handsets, the R1 is at its thickest along the central vertical axis and it tapers towards the sides. Some may be pleased to learn the entire rear panel lifts off. Removing the panel provides access to the SIM and microSD memory card slots underneath. Clasps hold the panel on pretty tightly and it takes some effort to pry loose. The R1 Pls supports two micro (3FF) SIM cards. (That's odd, as the newer nano (4FF) size is now more common.) 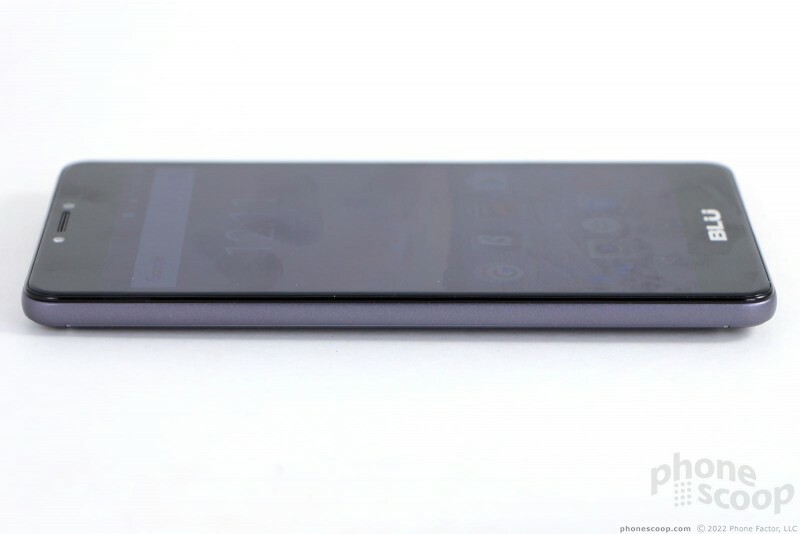 The R1 Plus' battery is concealed within the phone's chassis and cannot be removed. There's no fingerprint reader. The phone isn't waterproof. I've grown weary of Blu's tired-and-blue design aesthetic. Maybe I'm being too hard on the company, but the R1 HD is nearly indistinguishable from a half dozen other Blu handsets. 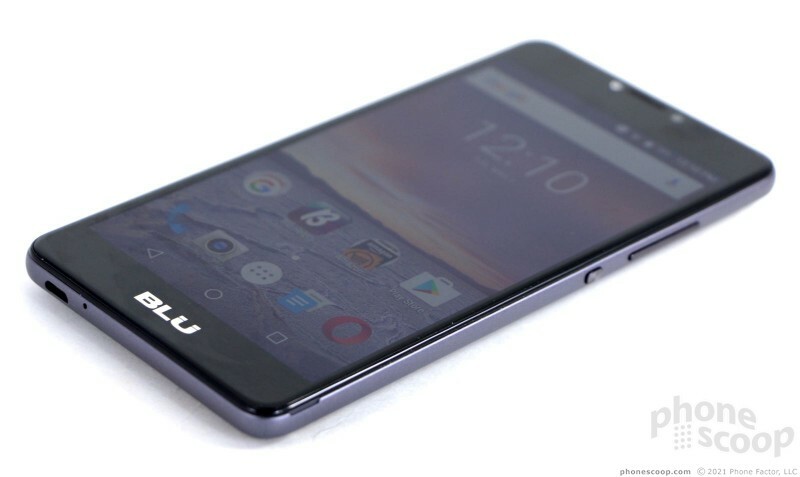 Toss in the platter-like dimensions and below-par materials and you have an uninspired smartphone in your hands. 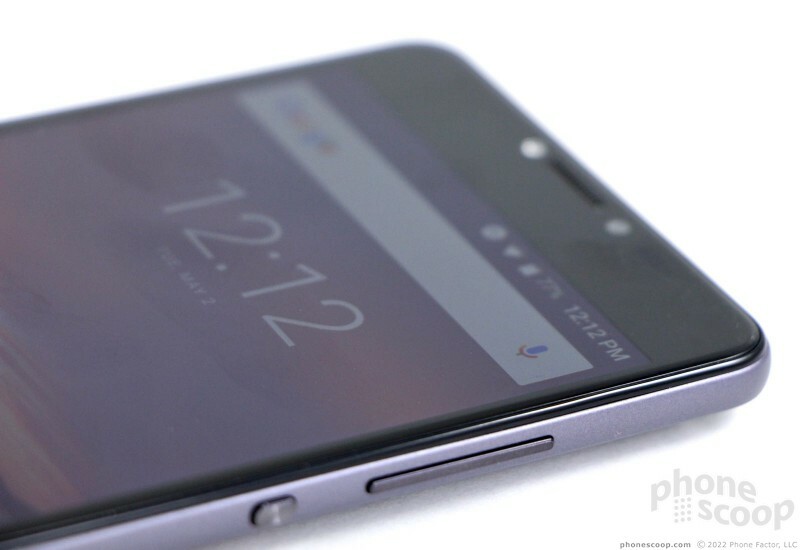 A 5.5-inch display is hiding beneath the massive glass plate on the R1 Plus's face. It offers only 720p HD resolution, which is a bit light in the pixel department. During my tests, I found the screen to be adequate for everyday activities, including email, social networking, gaming, and music listening. You can still enjoy YouTube and other standard video content on the large canvas, but the R1 is no VR machine. The 720p resolution provides just enough to keep the on-screen elements looking smooth and free of pixelated edges. The LCD panel is quite bright. I had no trouble using the phone indoors and out, but the screen's auto-brightness tool wasn't quite up to the task. You'll likely have to manage brightness manually when stepping outdoors. Viewing angles are pretty good, as I noticed only minimal brightness loss when tilting the phone side to side. The R1 has a decent screen for the price point. 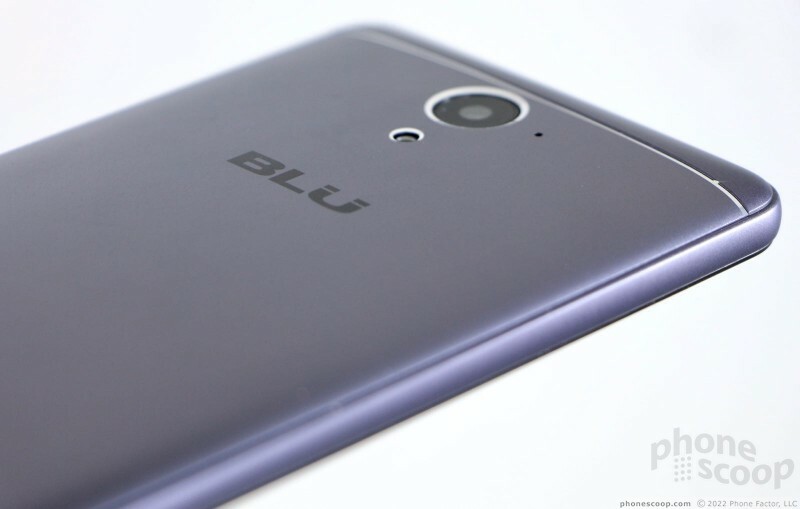 The Blu R1 Plus may support two SIM cards, but its LTE support is rather weak. It covers Bands 2, 4, 7, 12, and 17, which makes it compatible with the core LTE frequencies of AT&T and T-Mobile, but leaves it lacking some of the newer bands. I took the R1 Plus for a run on both AT&T and T-Mobile's networks and can't say I came away too impressed. The phone performed below average on both networks. In general, it remained attached to LTE 4G, though I saw it drop down to HSPA 3G fairly often in weak coverage areas. Branded carrier phones are more apt to stay on 4G nearly 100% of the time. The R1 Plus was able to make calls on both networks, but inconsistently. Calls connected on the first dial on AT&T, but often required two attempts on T-Mobile's network. The R1 dropped calls regularly, including at highway speeds. That's no good. Data speeds were closer to 3G than 4G. The R1 could handle email, social networking, and similar tasks, but streaming media over the network was mired with buffering and frequent pauses. The R1 can connect to AT&T and T-Mobile, but the experience leaves a lot to be desired. The R1 Plus is acceptable for making phone calls, but not by much. The earpiece delivers enough volume for use in and around your home or office, but it's more or less inaudible anywhere else. I found I needed to keep the volume set up all the way at all times. Voice clarity is middling at best. About half the calls I made were pretty good, but the rest were riddled with nasty distortion. If you're a T-Mobile subscriber, the R1 HD supports VoLTE and HD Voice. Connecting through HD Voice provides a significant boost in call quality. People I spoke to through the R1 Plus said I sounded just okay. The speakerphone actually pushes out a lot of sound and is mostly free of any distortion. I had no trouble hearing speakerphone calls at home, in the car, or walking around town. Music, ringers, and alerts can all be set to crazy loud volumes. The vibrate alert is quite good. If there's one killer reason to by the R1 Plus, it's battery life. The 4,000 mAh battery provides two days of life no matter how you use the phone. A week of testing consistently proved the R1 Plus was capable of pushing from breakfast one day to bedtime the next with power to spare. 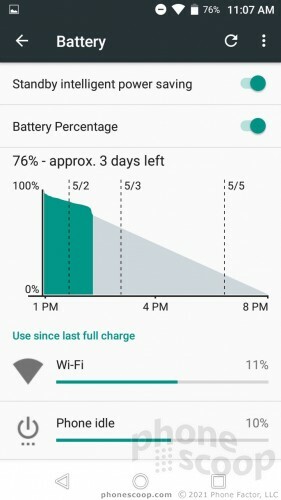 The only battery-saver tool aboard (which you won't need at all) is the native Android app. The phone does not support rapid nor wireless charging. The R1 Plus's Bluetooth radio worked okay. Pairing and connecting was generally not a problem. The R1 managed to hold onto my car's hands-free system, but had trouble with a pair of Bluetooth headphones. Calls I made via the hands-free connection were just barely acceptable. Music sounded pretty thin and tinny even when streamed to a really good speaker. The phone's GPS radio performed as expected. It was able to find me in just a few seconds and resolved my location to within about 25 feet. It didn't exhibit any lag nor speed issues when used as a real-time navigation device. The R1 Plus doesn't have NFC. The WiFi worked well enough.